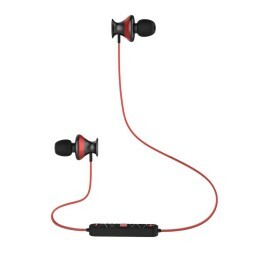 Ergonomic and sweat proof in-ear design. Fit both ears comfortably. Produce high-fidelity stereo music and crystal clear sound. There is a magnetic head for clasping cord. 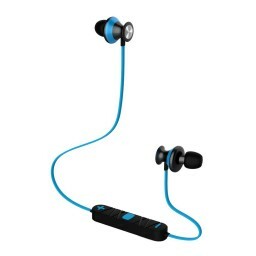 Ergonomic and sweat proof in-ear design. Fit both ears comfortably. Produce high-fidelity stereo music and crystal clear sound. 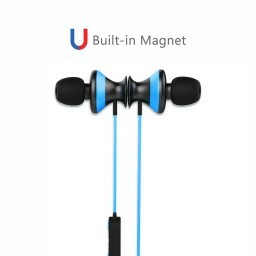 There is a magnetic head for clasping cord together when it's not in use. Enjoy outdoor activities freely without disturbance of twining cords. Universally compatible with all Bluetooth-enabled devices.